We just uncovered a new flagship Chromebook in ‘Sarien’ yesterday and this device already has some head-scratching development happening over at the Chromium Repositories. As we continue sorting through it, we’ll obviously continue sharing our findings, but one thing that is pretty straightforward is a line of commits that point directly to not only a new set of USB-C docks, but to the manufacturer behind ‘Sarien’ itself. There are a few key things we can use to deduce who is making a particular Chrome OS device. For this one, we have a bit of each and that makes us feel quite confident in the findings. So, in many commits for ‘Sarien’ (like this one), a particular email address is found in a few places and makes the manufacturer pretty clear. It isn’t 100%, but usually if someone from a company (like, I don’t know, let’s say Dell) is found in the commits, it’s a pretty solid sign that company is heavily involved in the development of that device. Check out that link above to see the @dell.corp-partner.google.com address. Second, we have a couple commits for ‘Sarien’ featuring work from Compal and Wistron, both ODM’s (original design manufacturers) that have worked for Dell devices in the past. You can see the @wistron.corp-partner.google.com here and the @compal.corp-partner.google.com one here. Add CAB file for deck dock. Lots of Dell stuff going on around ‘Sarien’, right? Yeah, we thought so too. So, part of the interest here is that ‘Sarien’ is quite clearly being developed by Dell. With Dell’s approach to Chrome OS over the years, I honestly didn’t expect to see another consumer device from them for quite some time with the current release of the excellent Dell Inspiron Chromebook 14. I’m glad to be wrong on this one. What I didn’t see coming at all was the fact that these commits not only highlight who is making ‘Sarien’; they also shine some light on a few very interesting accessories we should see work with it. Dell’s already-existing WD15 and WD19 USB-C Docks bring a nice, multi-screen option to Chrome OS we don’t see much of these days. If you’ve ever tried to extend your monitor to two extra screens, you’ll know that it takes a special dock to really pull this off and they are few and far between. Dell’s docks do this and provide some pretty nice extensions along the way. Curently they are available at Dell’s website and other online retailers, but they clearly are made for Windows devices. The commits we listed earlier are all about bringing proper Chrome OS support to the dock’s firmware so we Chromebook users can soon take advantage as well. Details on the WD19 are pretty sparse, so I can’t tell if there’s a new version coming out or they simply want to offer support for an older dock as well. As we find out more, we’ll update. 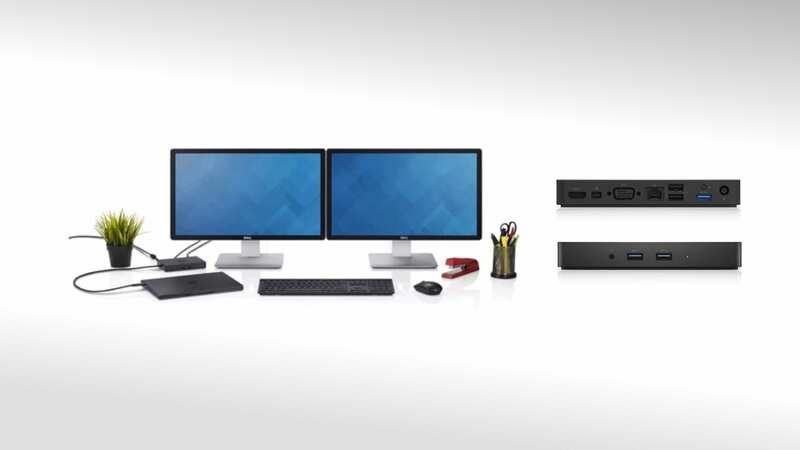 So, there you have it: ‘Sarien’ is not only made by Dell, it looks likely to be shipped with support for Dell’s multi-monitor docking solution as well. If ‘Sarien’ does end up being the detachable or tablet we are thinking it is, then a proper docking setup makes a lot of sense for enterprise users.